Discussion in 'Non-Indian Domains' started by Bharat, Apr 15, 2019. I recently got rl.gy for my new startup reactlink.com , while i saw that many are still available and not in a budget range although. 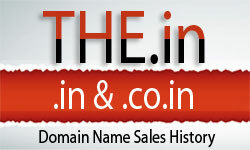 .gy domains just cost around 50$ a year which is quite cheap. You can check this website for available domains https://catechgory.com , although its not updated live but is a good place to get 2 letter domains. PS : - catechgory.com is not my website while https://reactlink.com is mine. But those are country codes, not new gtlds.